The Glenn Beck Review: Beck warps history and smears social democratic youth groups as "disturbing"
Beck warps history and smears social democratic youth groups as "disturbing"
Previously on the Review, Glenn Beck's comments about the young victims of the shooting rampage in Norway by right-wing, Christian extremist, Anders Behring Breivik, on July 22nd were criticized for their hypocrisy and ignorance. The following piece is being republished here with permission of Agence Global, the syndication agency for The Nation. 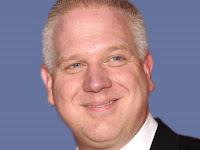 Originally entitled "Glenn Beck's 'Hitler Youth' Slur on Norway Victims Confused WWII Sides," it was written by John Nichols and published in The Nation magazine. Nichols is the author of The S Word: A Short History of and American Tradition...Socialism. A self-proclaimed conservative Christian who rants and raves obsessively about immigration, Islam and Marxism goes on a murderous rampage at a summer camp where young social democrats gather to sing, dance and talk about building a more just, sustainable and peaceful world. So what does Glenn Beck find “disturbing”? Well, we all know where this is headed. Actually, it’s Beck’s statement that is disturbing—and completely wrong. The young people who gathered at the camp on the Norwegian island of Utoya were the opposite of Hitler Youth. In fact, they were the direct descendants, individually and ideologically, of the courageous young socialists who played such a vital role in the Norwegian resistance to the Nazis. The campers who were attacked were members of the Norway’s Arbeidernes Ungdomsfylking (AUF), the Workers’ Youth League that is the youth wing of the country’s social democratic Labour Party. In the aftermath of World War II, the Oslo Trade Union Confederation purchased the island and given as a gift to the AUF in recognition of the sacrifices that young socialists had made in the struggle against fascism. When Hitler’s Nazi armies invaded and occupied Norway in 1940, they banned the AUF and imprisoned its leader, Gunnar Sand. His successor as head of the AUF, Trygve Bratteli, led the Labour Party’s crisis committee following the Nazi invasion of Norway before his arrest by the Germans in 1942. Imprisoned in a series of concentration camps, he was liberated in April, 1945, Bratteli returned to Norway as a hero who led the AUF in the postwar years and eventually became Norway’s prime minister. But what he really got wrong was the notion that there is something wrong, something “disturbing,” something foreign, about young socialists gathering to listen to music, to dance, to swim and play sports and to imagine a better world. This is an international tradition. And it is an American tradition. Members and allies of the Young People’s Socialist League (known as “Yipsels”) would go on to become some of the most successful and politically vital American union leaders of the twentieth century. Walter Reuther built and led the United Auto Workers. Jerry Wurf led the American Federation of State County and Municipal Employees during its period of great expansion in the 1970s. In Europe, young socialist groups continue to produce not just labor leaders but political leaders. Norway’s current prime minister, Jens Stoltenberg, is a former AUF leader. Indeed, when Breivik bombed downtown Olso neighborhood where the prime minister’s office is located, Stoltenberg was at his home preparing a speech that he had planned to deliver a few hours later to the 600 AUF members gathered on Utoya. The truth is entirely opposite what Beck says. The young people who gathered on Utoya did so as champions of ideals that inspired young Americans a century ago, that inspired those who opposed Hitler seven decades ago and that inspire those who challenge the bigotry and violence of modern-day neo-Nazis, fascists and extreme-right fanatics. That is the language of international solidarity that offers the best antidote to the violence that has struck Norway, and to the ignorance of American commentators who cannot distinguish between evil and those who fight against evil. I believe it would be the consensus to say that our hearts go out to the victims and families affected by this horrendous act. That being said, once again Beck speaks non-sense (I'm assuming because he is paid to do so) without being considerate nor intelligent. The culture of the United States is trully a fascinating one. Beautifull ideas of egalitarianism and liberty pervade throughout our society, but one should not be quick to overlook the unique culture of fear that has also marred our history. Yet we as a society (or perhaps is just the media) seem to lack the self awarness to deal with this retarding trait of ours. Now people like Beck have been around for a long time, and I do not see them leaving anytime soon (A testament to our culture of fear, perhaps). What is rather disturbing, is that such blatant ignorance is allowed to be broadcast from a Corporation that claims it is news, and even that is fair and balanced (I'm guessing that is a sarcastic logo for Fox propanda). But make no mistake the MSNBC is just as guilty for pushing propaganda (Which justifies neither side). Back to my point, when we as a nation do not restrain or acknowledge our fears, these propaganda peddlers become abundant. An example would be how the idea (or even the word) socialism is treated like an archaic political thought, that when we hear about Jihadist's some of our first thoughts are of murderous terrorists (Yet the greater jihad is one of the heart, or so I have come to believe). But at the same time, we seem quick to forget the atrocities committed by our own nation, eager to defend Christianity from being associated with terrorists yet eager to identify Islam as a religion for terror, and for Beck to not acknowledge the special brand of fanatical Christian youth camps we have in the United States only adds to the list. Marx I believed said that religion is the opium for the masses, perhaps fear is the unique cultural opium for the United States. I am not sure if these populist fears are unique to the U.S., as I have not lived anywhere but the U.S.
To make all this hub bub the rather short, no one should let ignorance create fear.